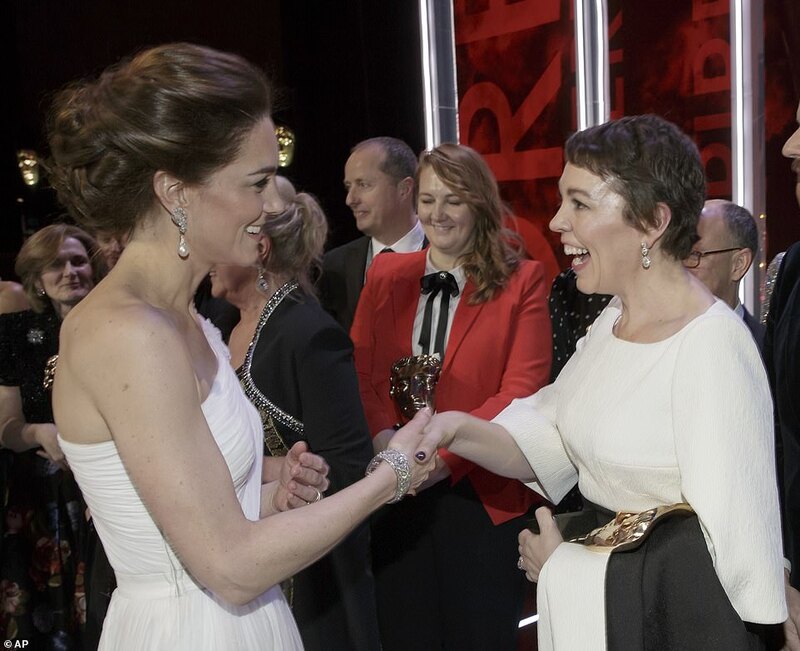 Kate, 37, came face-to-face with acting royalty as she caught up with Olivia Colman, who won Best Actress for her portrayal as Queen Anne in The Favourite, and co-star Rachel Weisz, who picked up Best Supporting Actress, the Daily Mail reports. Looking every inch the film star alongside her husband Prince William, Kate teamed her billowing chiffon gown - from the label behind her 2011 wedding dress - with a pair of shimmering £525 Jimmy Choo glitter heels. In a fitting tribute to Princess Diana, the duchess is believed to have worn the same South Sea Pearl accessories debuted by William's mother to a concert at the Royal Albert Hall in 1991. And adding an extra dose of glitz to her glamorous cinched-waist ensemble, Kate topped off her look with the Queen's Quatrefoil bracelet, which once belonged to the monarch's mother. 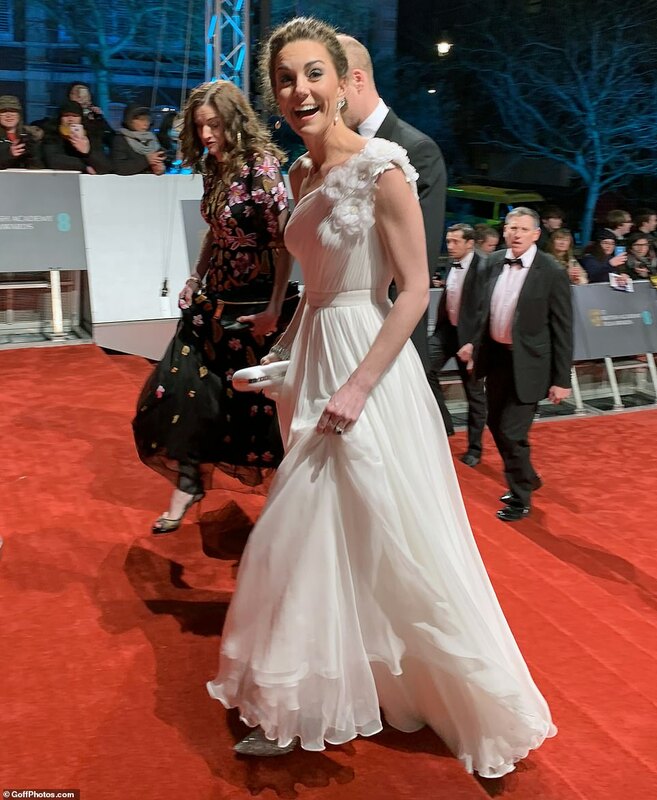 Holding a small white clutch, the mother-of-three sported glamorous makeup with a pink lipstick and a dark smokey eye as she beamed for the cameras at the 72nd annual EE British Academy Film Awards at London's Royal Albert Hall on Sunday.